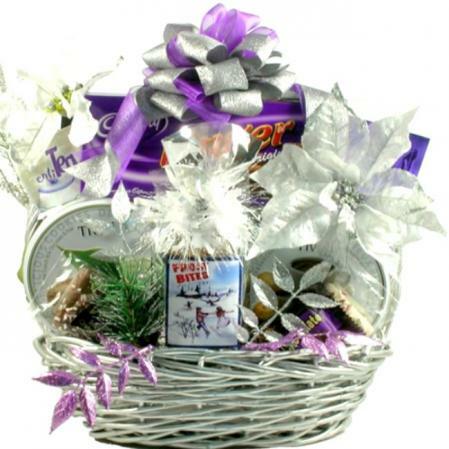 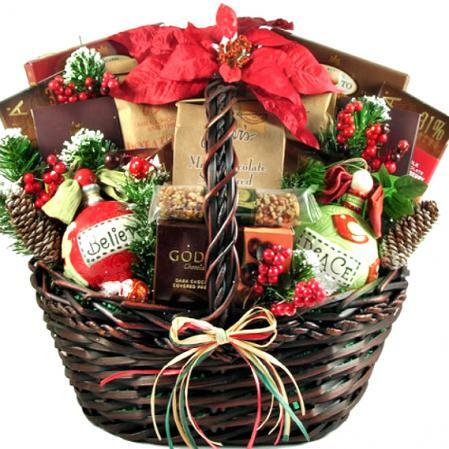 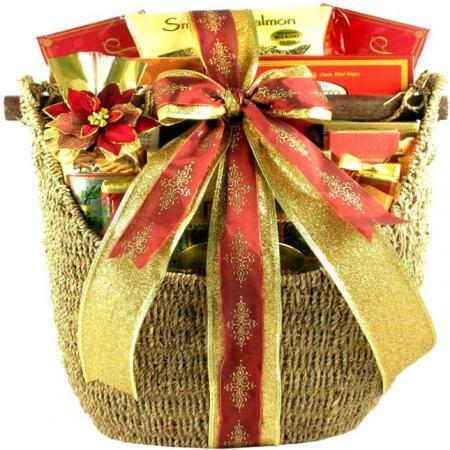 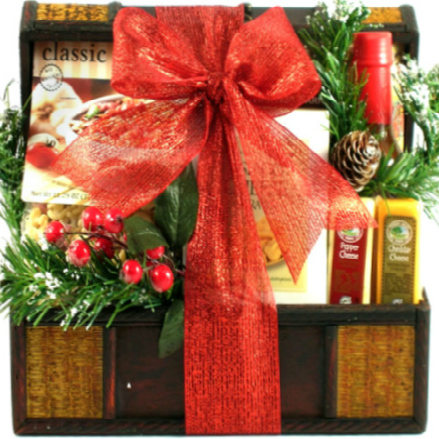 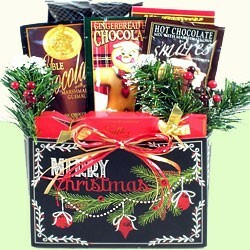 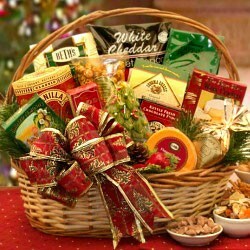 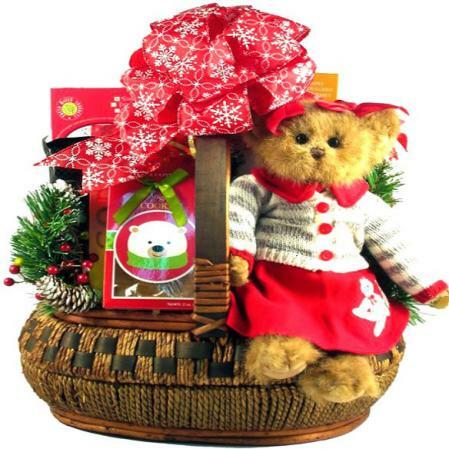 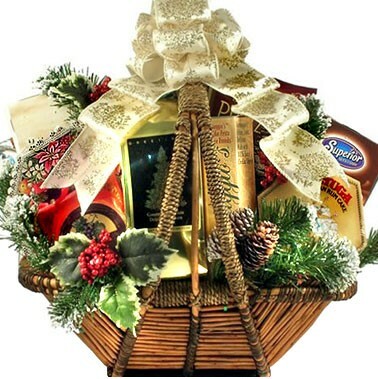 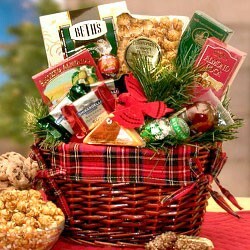 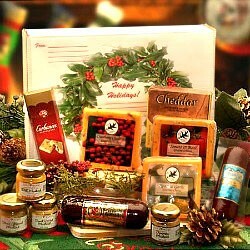 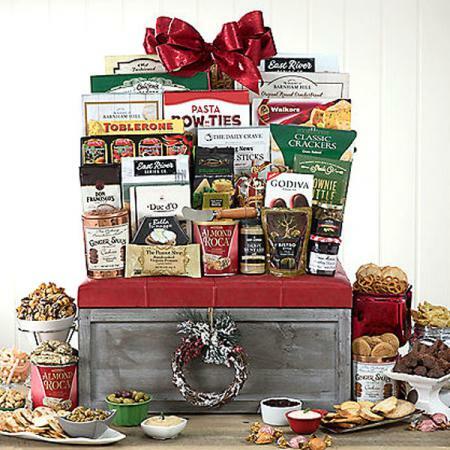 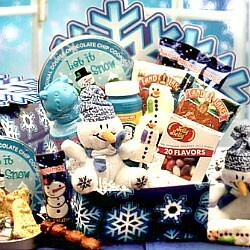 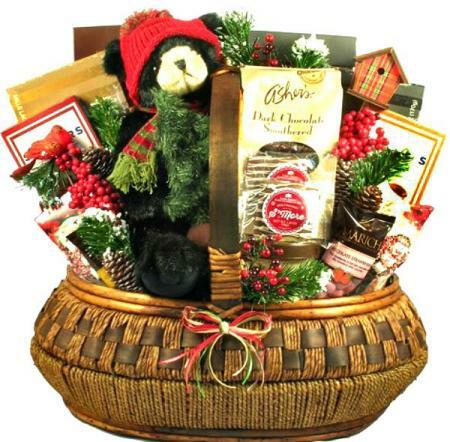 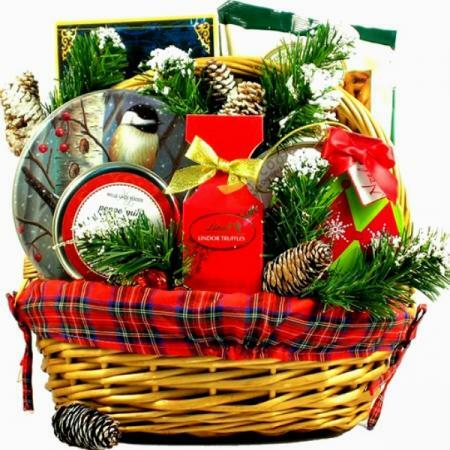 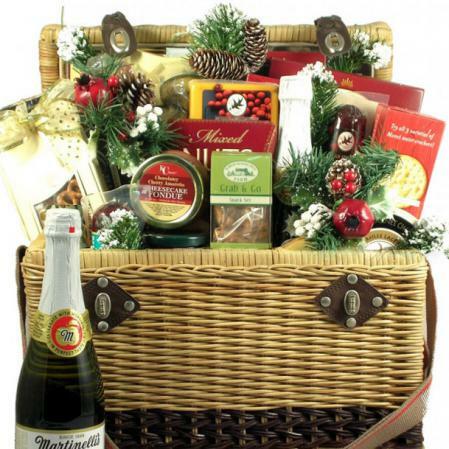 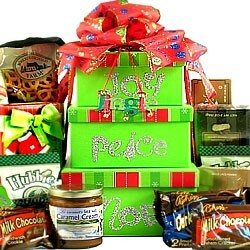 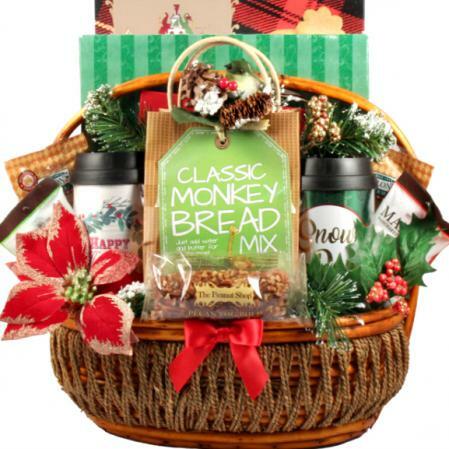 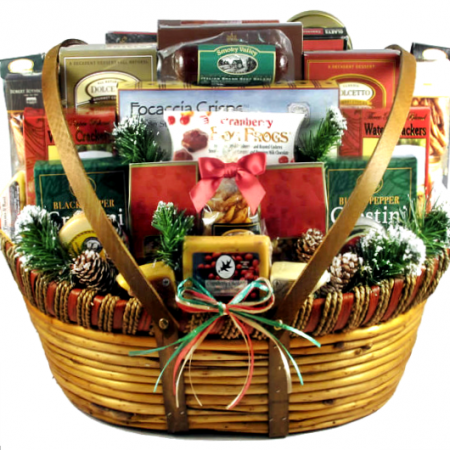 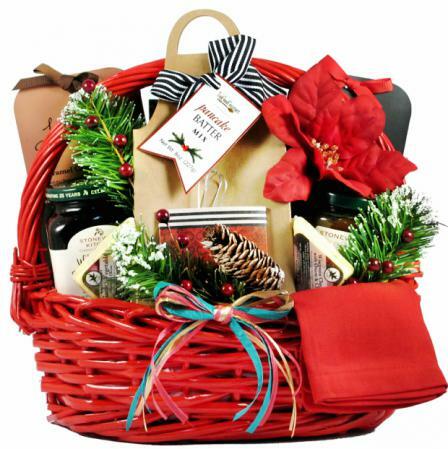 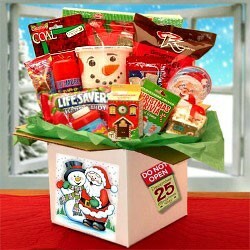 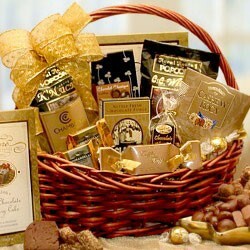 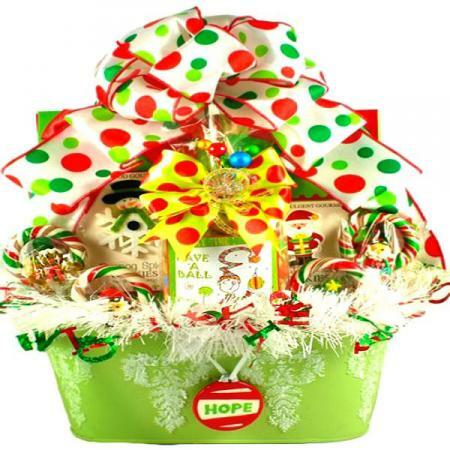 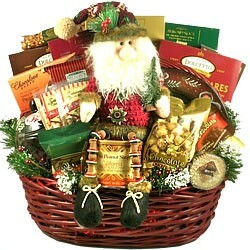 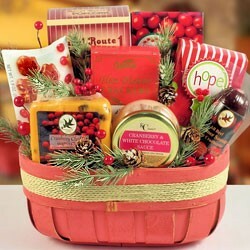 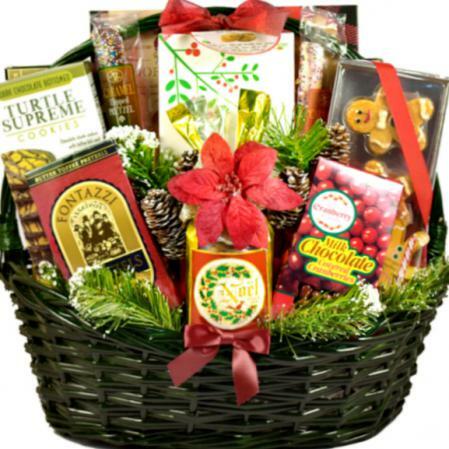 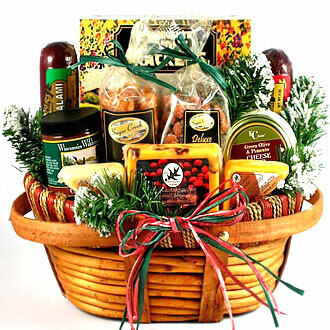 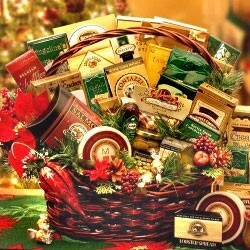 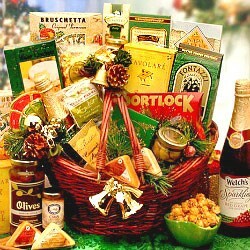 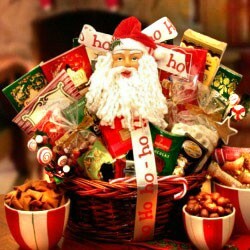 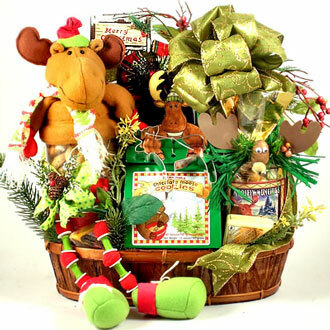 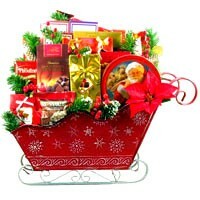 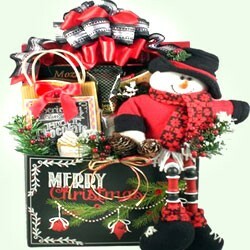 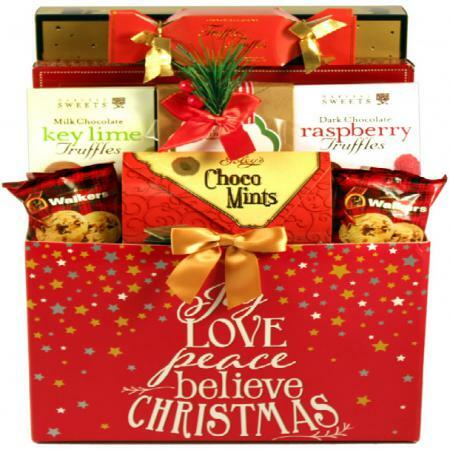 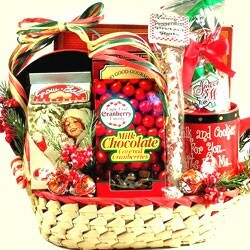 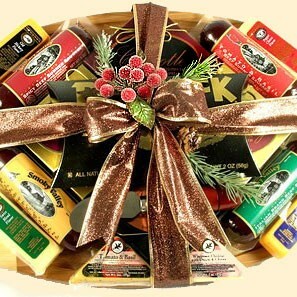 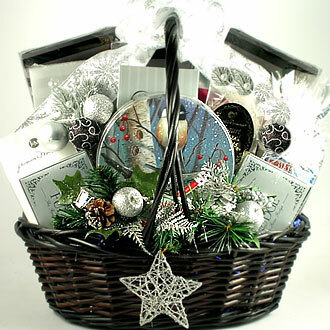 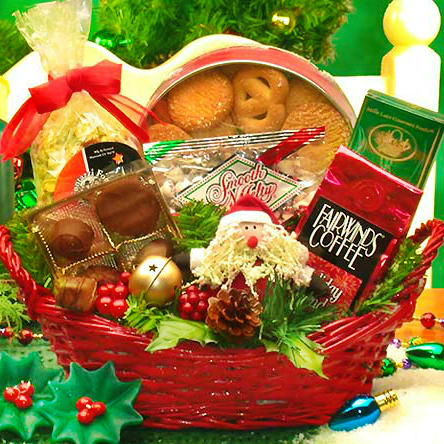 This holiday gift basket with a snowy winter scene and filled with goodies is a great way to give a gift to friends or family. 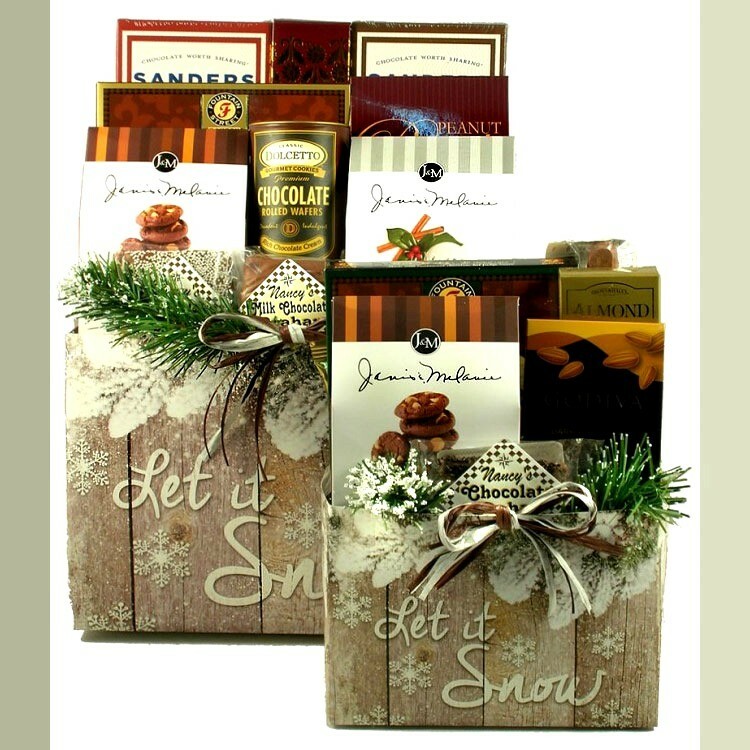 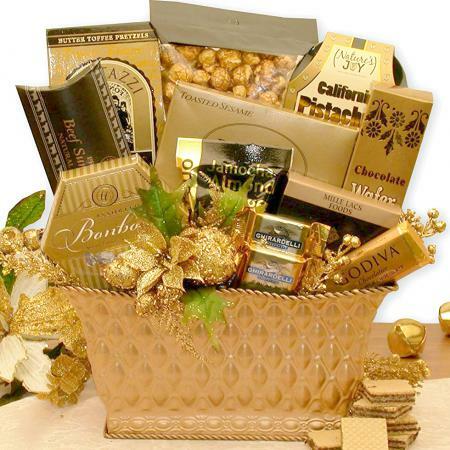 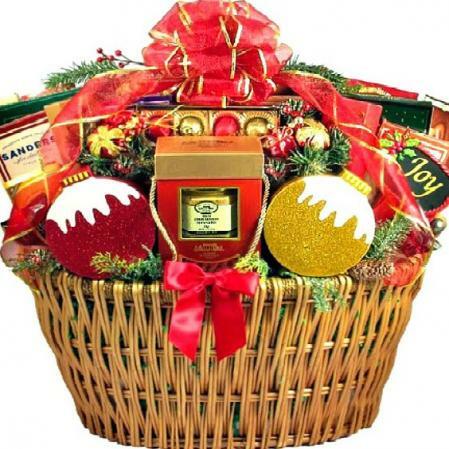 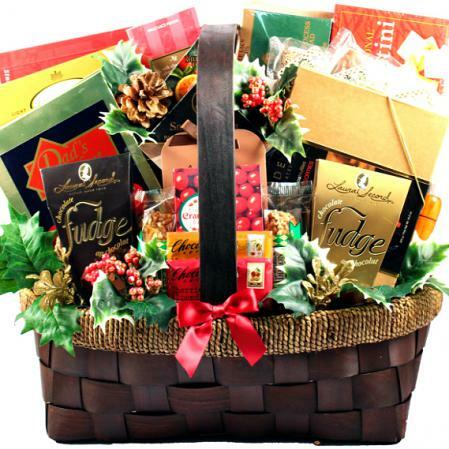 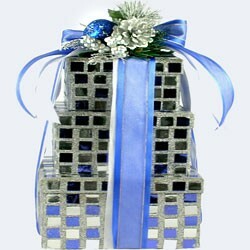 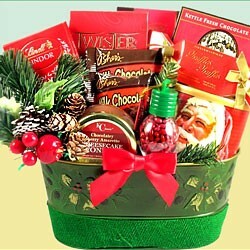 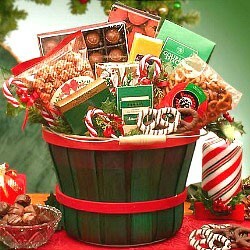 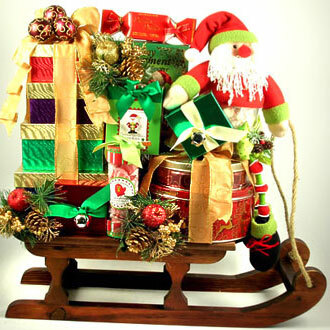 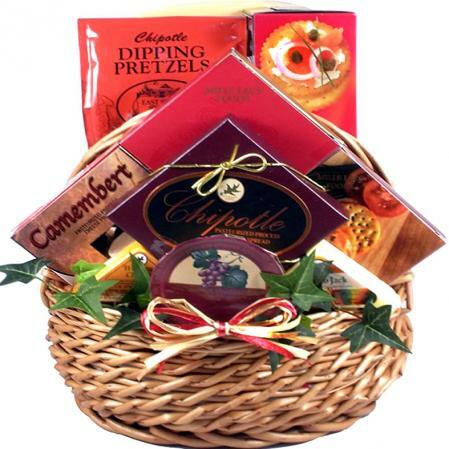 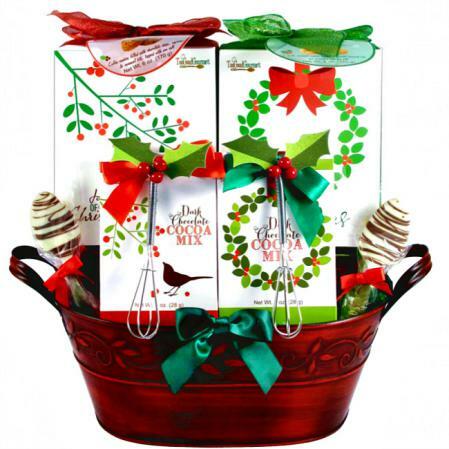 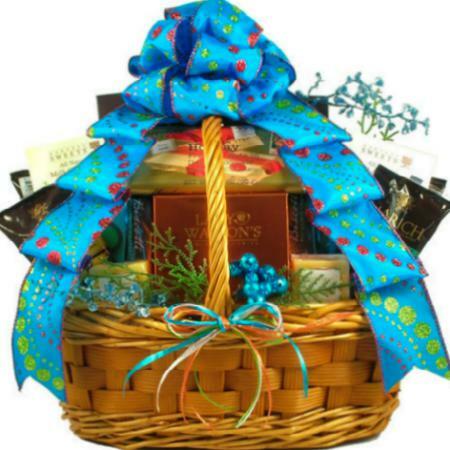 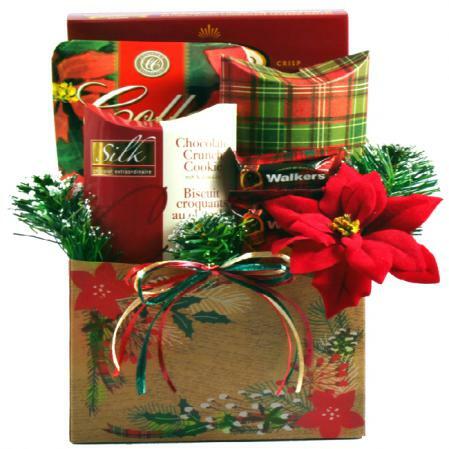 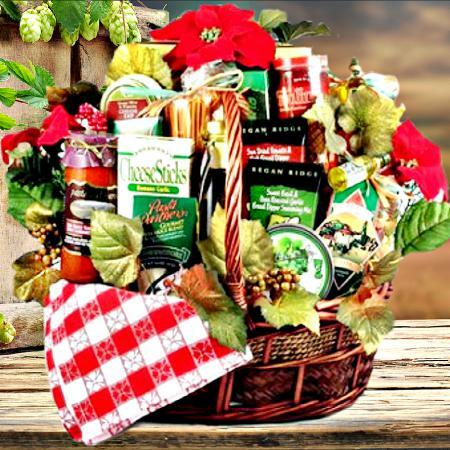 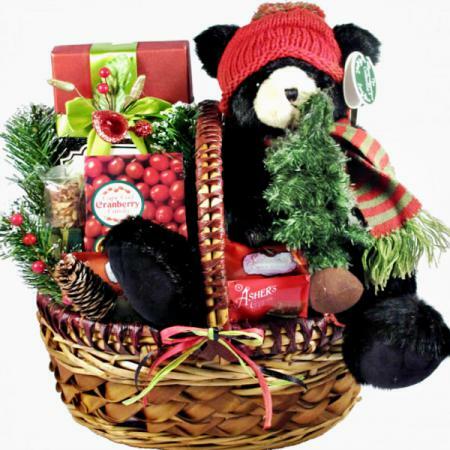 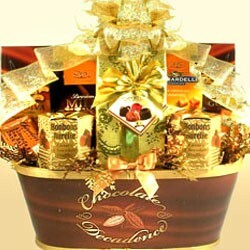 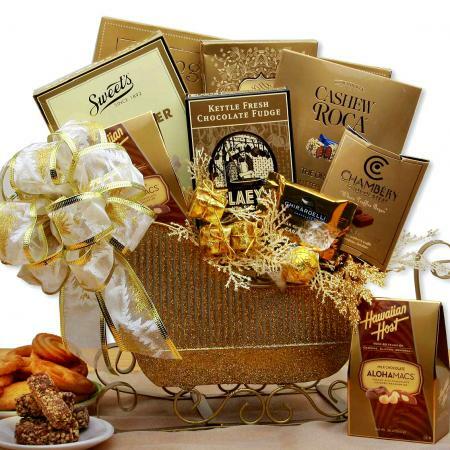 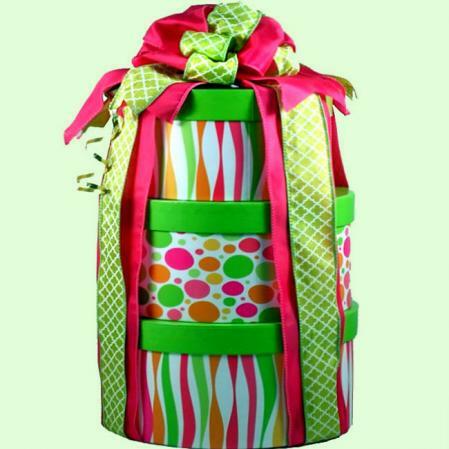 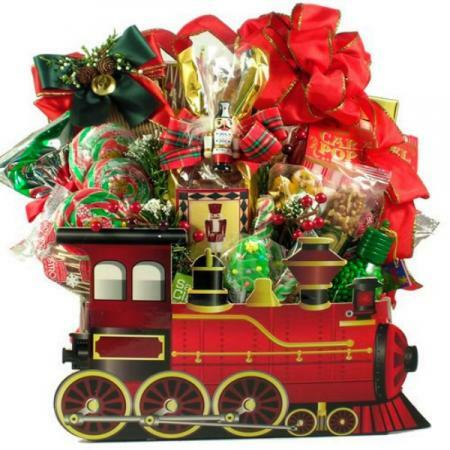 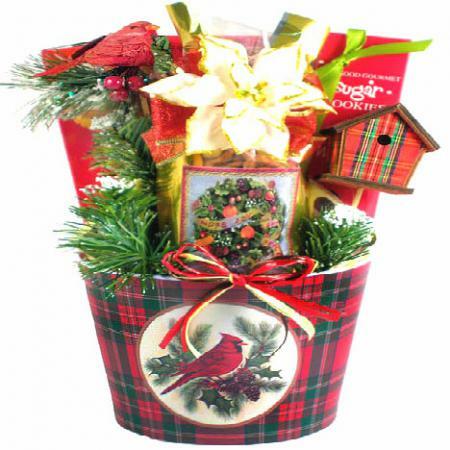 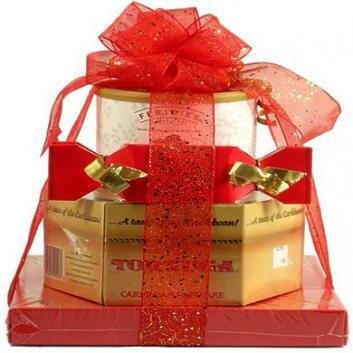 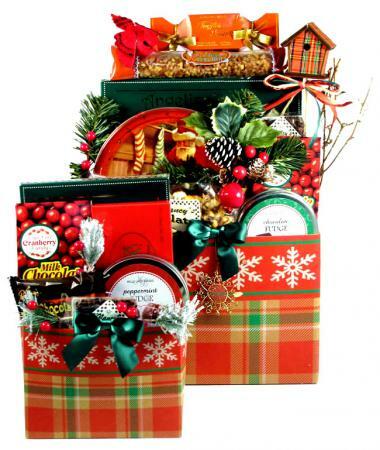 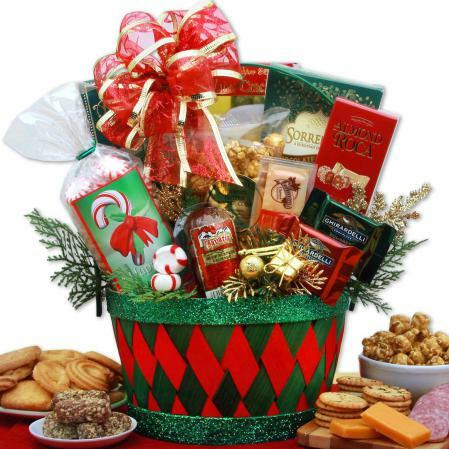 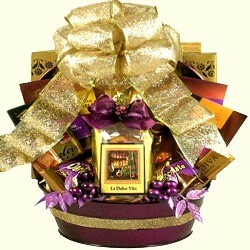 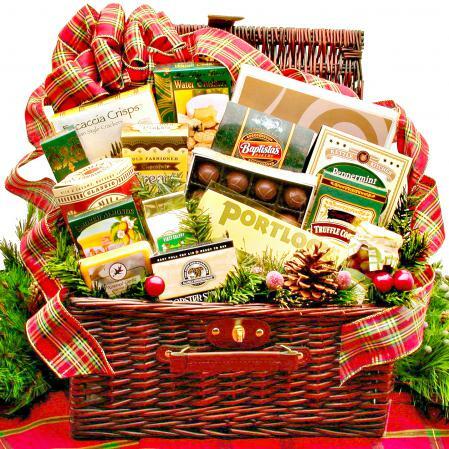 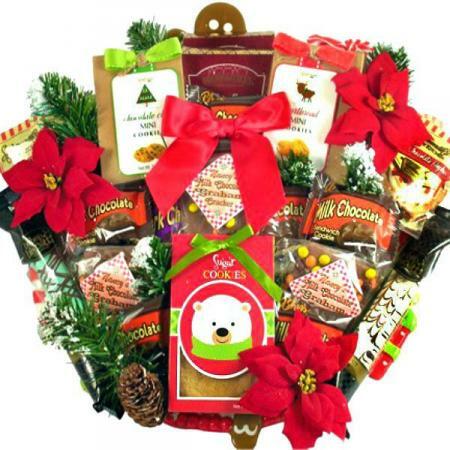 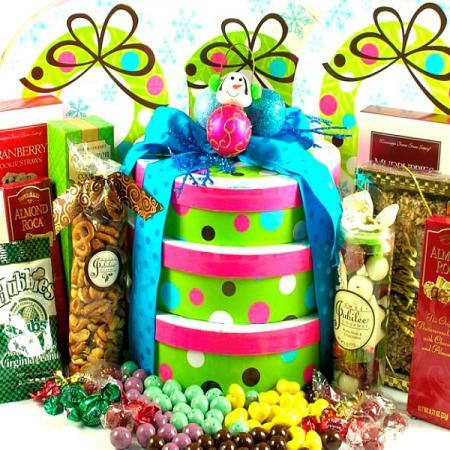 This gift arrangement is the perfect choice for anyone on your gift list - from Aunt Carol and Grandpa Joe to your favorite clients and your Doctor's Office - this gift will delight everyone this Holiday! 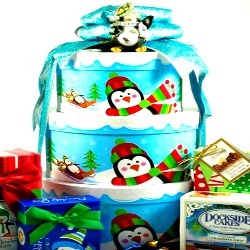 It is a charming design featuring a freshly fallen snow look, and it includes some of our most popular holiday treats and sweets! 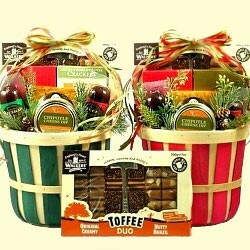 Available in two convenient sizes. 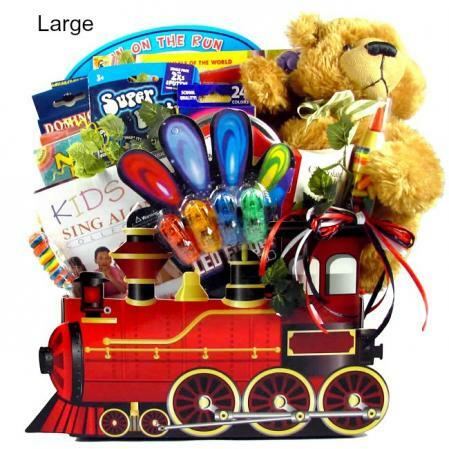 Select desired size at checkout.